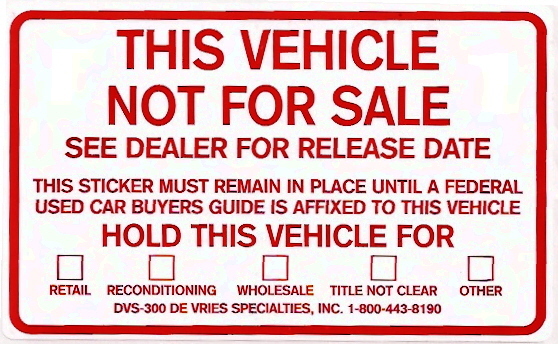 Many states require that if a vehicle does not have a Federal Buyers Guide displayed in the window, then this sticker must be displayed to inform the buyer that the vehicle is not yet ready to be sold. Simply peel and stick to the outside of the windshield. 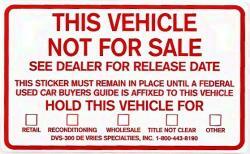 This stickers measures 3-1/2" x 5-1/2" and is sold in rolls of 100 per pack.